Answer "What kind of character does siberian husky have?" This "What kind of character does siberian husky have?" answer for dog breed Siberian Husky was viewed by 1312 visitors. The Siberian Husky has an amazing character. These dogs are very kind but still proud. Siberian Husky adapts very well, it is loyal and obedient. These dogs love to make their owners happy. They are not aggressive at all because an aggressive dog cannot be a part of the team, so it can't be a sled dog. Husky – is amazingly intelligent and independent breed. They can sometimes be very stubborn following their aims, and routine makes them bored really fast. Sometimes these dogs may even challenge your own smartness. They are very loyal to their families, but still treat strangers very friendly. They are not afraid of them and, probably, will be friendly towards a robber with the same way they treat their owner. Huskies do not have any traits of a guard dog, but their size and energy can still scare those people, who do not know about the natural friendliness of these dogs. 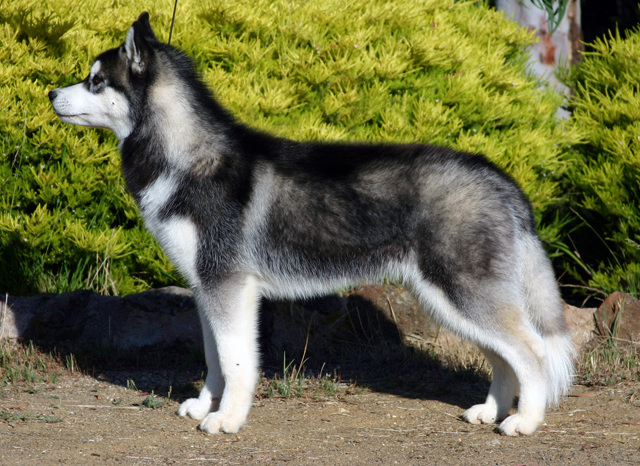 Answer for dog breed "Siberian Husky"
RU: Какой характер у сибирских хаски? How samoyeds tolerate hot and sunny weather?